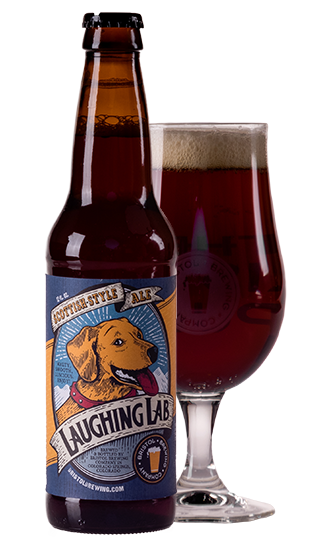 Laughing Lab is our most popular brew among beer drinkers and beer judges alike, with nine medals to its name since 1994 at the Great American Beer Festival alone. The Lab has a complex maltiness that comes from a careful blend of specialty malts. Its nutty, roasted flavor is mildly sweet, but not too rich. Smooth and luscious! Accolades: 9 Great American Beer Festival medals, numerous Colorado Springs reader's poll awards. Pairing: Gotta have a Lab in one hand when you’re playing fetch with Fido.